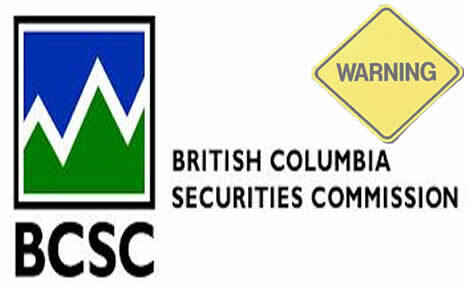 In its capacity as the independent provincial government agency responsible for regulating capital markets in the Canadian province of British Columbia, the British Columbia Securities Commission (BCSC), maintains an Investor Caution List on which it registers those individuals and companies that appear to be engaging in activities that may pose a risk to investors. All those included on this list are not registered to trade in and advise on securities or exchange contracts in the region of British Columbia and the local provincial Canadian watchdog urges the public to be highly cautious when dealing with them. Having warned investors against binary options firms Prime Brokerz and Crown Managers back in October of this year, because they were soliciting their services to the public in its jurisdiction without the proper authorization, the BCSC has just added another two brokers on its Caution List. The first new addition on the BCSC black list is the binary options brokerage under the name BSDOption, which is located in Liverpool, England, operated by Lybss Ltd and owned by YDBM Ltd. The BCSC was informed that a BC resident was able to open a trading account via the BSDOption site, www.bsdoption.com, which offers trading on 200 tradable assets from all asset categories, despite the fact that this broker is not licensed to operate in Canada, nor is it regulated in the UK by the FCA. The second brokerage that the BCSC has warned against was also brought to the regulator’s attention by the fact that a local resident was able to also open an account with them despite the fact that they are unlicensed. This brokerage is called BinaryOnline and it is owned and operated by Zola Ltd. Based in Sofia, Bulgaria this second case of unlicensed broker that British Columbia residents were warned against operates via the online platform that can be accessed via www.binaryonline.com.